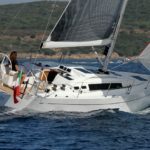 The Solaris 37’, as big as a 38 ft from other boatyards, is currently the only yacht on the market considered to offer a couple the same comfort as a 45 ft, thanks to the wide owner’s cabin, fitted with a central double berth and to the bathroom with a completely separate shower. With this latest model Solaris surpasses the standards set by itself. 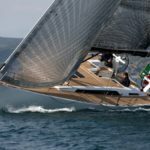 The Solaris 47 is the first and only model in this size to combine all the features and innovations to enable a high-performance boat to be easily sailed even with a small crew. 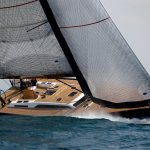 With the new 50-foot yacht Solaris wants to continue the success of the Solaris 48. 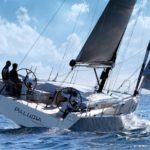 The Solaris 55 has been designed to satisfy the most demanding customers requiring performance sailing even with reduced crew. 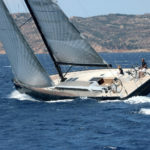 With the 58’, Solaris confirms its leadership in custom and semi-custom yachts between 50’ and 80’. 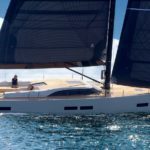 The new Solaris 68 RS, a yacht thet will mark the history of sailing.